Look, dahling, it's Edna Mode! 1:4 scale statue of the fashionista to the Supers. Check out her avant-garde dress, shiny black bob, and thick-rimmed round-lens glasses! 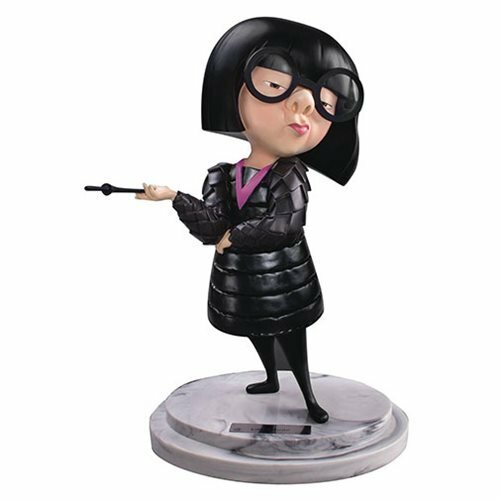 Here comes the ultra-chic fashionista, Edna Mode, with her diminutive figure in an avant-garde dress fashioned out of special contrasting materials, shiny black bob, and thick-rimmed round lens glasses. 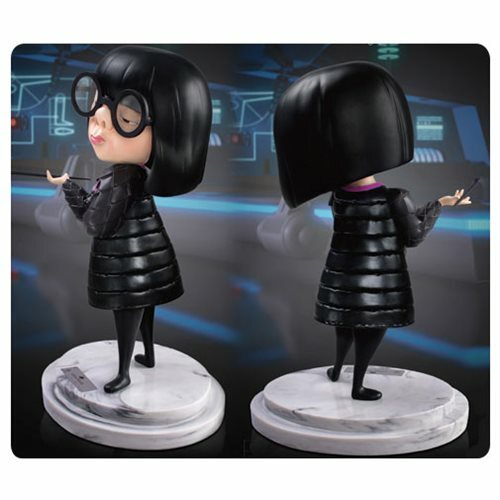 In keeping with the character's original design, Beast Kingdom has carefully selected the most suitable paints and lusters so you can visually appreciate the delicate textures and materials of all different parts of the resin The Incredibles Edna Mode MC-006 1:4 Scale Statue - Previews Exclusive.